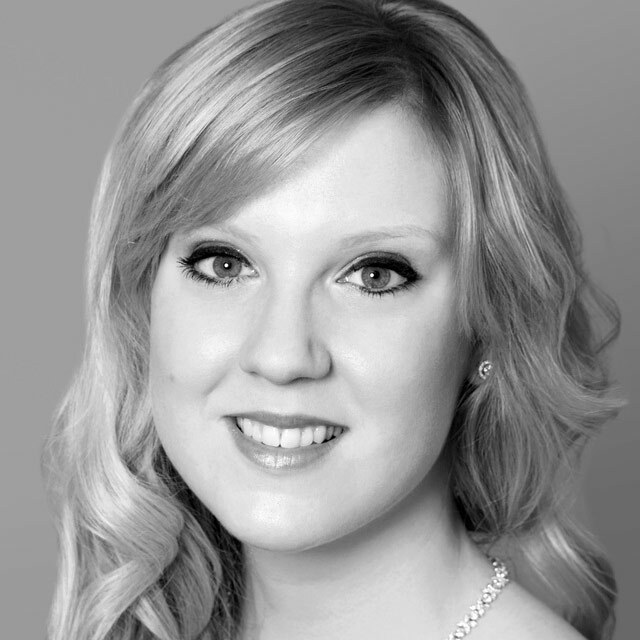 Mezzo-soprano, Emma Stannard trained at the RNCM gaining a first class BMus (Hons) and a MMus with Distinction under the tutelage of Peter Alexander Wilson. She is now training on the Royal Academy of Music’s Opera Course, studying with Catherine Wyn-Rogers and Joseph Middleton. Most recently she has performed the roles of Hanna, May Night (Rimsky Korsakov) and is now preparing Poppea, L’incoronazione di Poppea (Monteverdi) for performances in May. In 2015 Emma appeared with the Glyndebourne Festival Opera Chorus in performances of Bizet’s Carmen and Donizetti’s Poliuto. In 2014, Emma also performed in Eugene Onegin (Tchaikovsky), Don Giovanni (Mozart) and La Traviata (Verdi) for GFO, joining their touring company during the winter months. In March, Emma was awarded the ‘Audrey Strange Memorial Award’ for her performance in the final of the ROSL vocal competition. Whilst at the RNCM, Emma won the ‘Elizabeth Harwood Memorial Award’, the ‘Onken Song Competition’, ‘The Freckleton Prize and Doherty Cup for Singing’ and was awarded an AHRC scholarship for postgraduate study. Emma took the role of Melanto in Il ritorno d’Ulisse (Monteverdi) and performed in numerous opera excerpts. For Leeds based company ‘Young Opera Venture,’ Emma has performed the title role in scenes from Carmen as well as excerpts from The Magic Flute, The Merry Wives of Windsor and Così fan tutte. She also appeared in the Chorus for Opera de Baugé for their summer season, 2013. On the concert platform, Emma recently performed the role of Selene in Handel’s Berenice for the London Handel Festival. Emma has performed works including ‘Belle Nuit’ from Les contes d’Hoffmann (Offenbach) with the Opera North orchestra and Pierrot Lunaire with Constella Ballet and Orchestra. In September 2014 she appeared as the alto soloist for televised performances of Beethoven’s 9th Symphony with the Kinshasa Symphony Orchestra at the Royal Festival Hall (London), the Bridgewater Hall (Manchester) and the Colston Hall (Bristol). Emma performs regularly on the oratorio platform and looks forward to forthcoming performances with the Tatton Singers and Congleton Choral Society. She is also part of the professional singers scheme for the Philharmonia Chorus. Her studies at RAM are generously supported by the Howard de Walden Estate and the Maria Callas Scholarship.